What’s it like to run an exclusive poker game for the rich and famous? 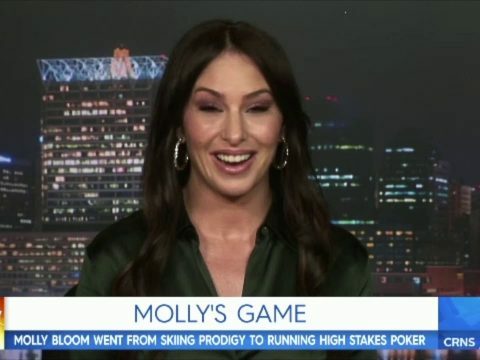 Molly Bloom went from olympic-level skier who didn’t know a thing about poker or Hollywood to building and operating the largest and most notorious private poker game in the world. 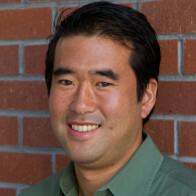 In this motivational talk, Bloom will show the sales and marketing skills she used to attract hundreds of millions of dollars to the game and spark the interest of players like Leonardo DiCaprio, Tobey Maguire, A-Rod, and Ben Affleck. Audiences will get the inside story not shown in the film as Bloom shares true-life tales of her experience. How do you come back from a failure? 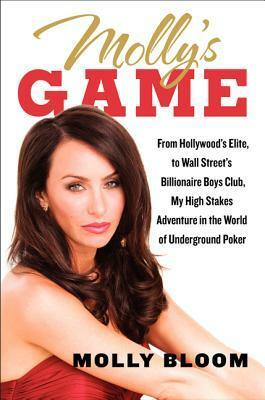 After the FBI arrested Molly Bloom and confiscated all her earnings from her poker business, she could have given up. Instead, she used the same lessons she learned from her father that led her to come back from back surgery to be ranked No. 3 in North America in moguls, to overcome this setback. She wrote the bestselling memoir, Molly’s Game, convinced Aaron Sorkin to write the screenplay, and the film earned an Oscar nomination for Best Screenplay. In this inspiring talk, Bloom will share true stories and life lessons showing that when you bet on yourself in business, you can always win. Molly Bloom didn’t know a thing about running a poker business when she was asked to set up the most exclusive high stakes poker game in Hollywood. She was faced with the daunting question: how do you create an experience that will keep the rich and famous coming back when they can go anywhere to play poker? Molly found if she built a unique customer culture, not only would players come back, the game would become so exclusive that everyone would want to be a part of it. In this exciting and informative talk, Bloom shows how she created an experience like no other for her players and how you can apply the same principles for creating an exclusive experience for your customers. In business, story is one of the most powerful tools you can use to sell your product, your brand, and yourself. 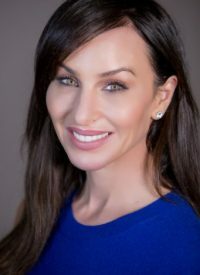 For poker entrepreneur Molly Bloom, her product, brand, and person were one and the same: Molly’s Game. The stories she used to sell and market her poker business helped turn an underground poker game into a multimillion-dollar enterprise. In this funny and enlightening talk, Molly shares the insider secrets that helped her create the most popular poker game in L.A. and New York. 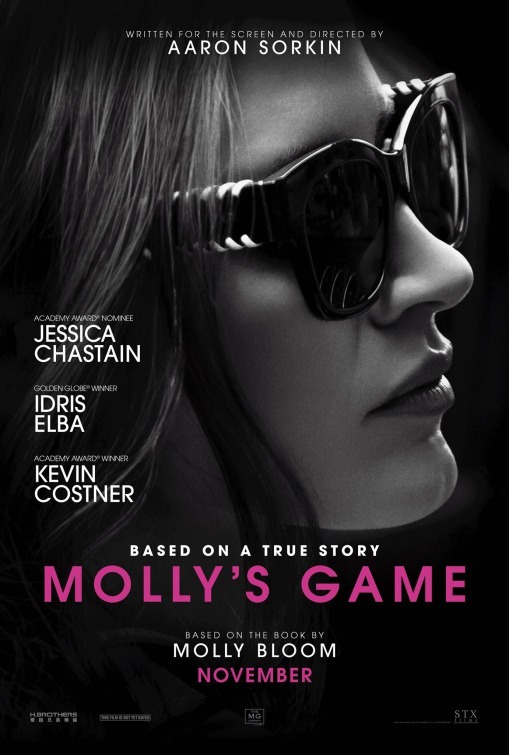 The film Molly’s Game, written and directed by Aaron Sorkin, stars Jessica Chastain (as Molly), Idris Elba, Kevin Costner, Michael Cera, Brian d’Arcy James, and Chris O’Dowd. 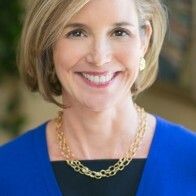 Bloom has appeared on numerous shows and in media outlets such as Ellen, Vice, The Los Angeles Times, NPR, Vulture, and has been asked to speak at Fortune’s Most Powerful Women, for companies like Blackrock Financial, SiriusXM Radio, and delivered the 2018 commencement speech at Colorado State University. “Molly is a natural. Her charisma and genuine self are an amazing combination. I have listened to a LOT of speakers and hands down, your talk, energy, enthusiasm and the message was the best I have ever seen”. 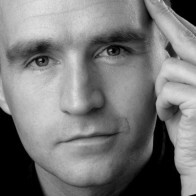 As an event producer I have to say Molly was a dream to work with, professional, client friendly and lovely. Her presentation to our audience of over 3000 people was first class, it was engaging, moving, funny and inspirational. I look forward to working with her again.